The days of losing Backfriend screws are over! The new hinge is simpler and more reliable. It replaces and can be retrofitted to older Backfriends that used the older brass screw fixings. These hinge locks WILL fit all Backfriends (even very old ones) but on VERY old Backfriends there is a slight amendment to the standard fitting instructions. Click on the "Use & Fit" tab for details. 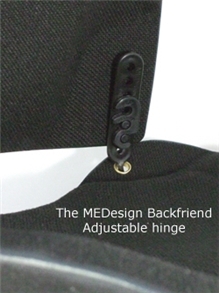 To extend the life of your Backfriend, replace hinges, hinge locks, and Velcro as soon as necessary. 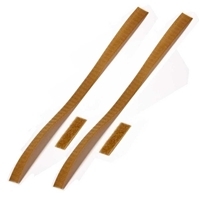 Two (2) Backfriend hinge-lock sets. 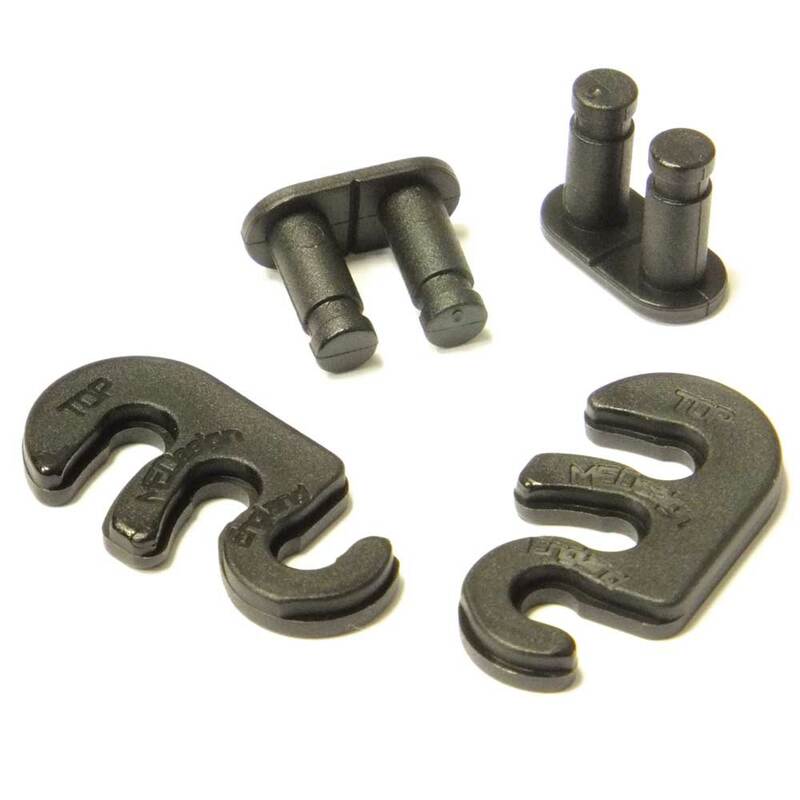 A hinge-lock set consists of a two-part prong and an "S" clip. A single Backfriend needs two (2) hinge-lock sets, one for each side. Includes written instructions. Click on the "Use and Fit" tab above to view an instructional video on hinge lock replacement. It's easy. These hinge locks WILL fit all Backfriends (even very old ones) but on VERY old Backfriends there is a slight amendment to the standard fitting instructions. 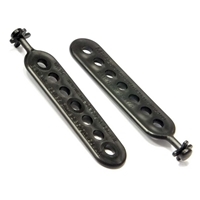 Take the two-pronged part of the hinge lock set. At the base where the prongs are connected, there is a small v shaped groove/snap line. Flex the prongs (or you can carefully cut along the groove with a pair of scissors) until they separate into two parts - remove any sharp edges created from the separated parts. 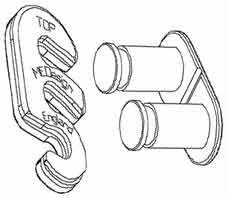 Insert prongs through the backrest and then fit as shown in the video below or the diagrams on the fitting instruction leaflet (enclosed with the parts) but using the upper groove on the locking component.